With the insanity that is Fashion Week and other simultaneous events happening back to back, I just realized we never got anything into our Valentine's Day 2012 Buying Guide for the little ones! 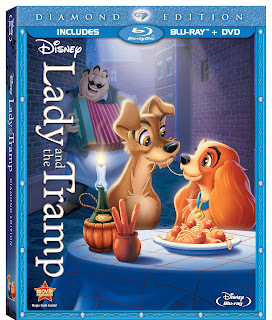 So as a belated Kids Corner pick, Ascending Butterfly recommends Disney's Animated Classic Love Story 'Lady and the Tramp' - I remember seeing it when I was a little girl and was happy to see that the 2 disc Combo Pack was released on February 7th 2012, just in times for Valentines Day! 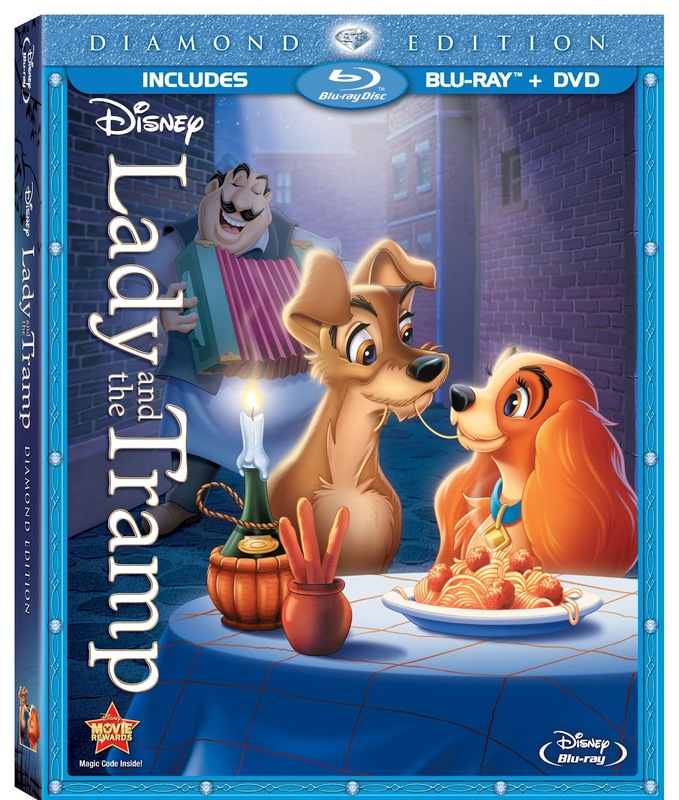 It's my earliest memory of a 'romance' movie, Lady a pampered Cocker Spaniel and Tramp a free-wheeling Mutt with a heart of gold, meet and fall in love! They made it look so easy! A great adventure set to un-forgettable music......I don't think there is any love story sweeter than this one, so while the kiddos get wrapped up in the Dogs and their fun adventures, there is still a sweet romance story in there for moms and dads to enjoy along with the kiddos. So if you haven't already, pick this up to watch with the kids this weekend! It is Family Approved, and Fun for all ages. Ascending Butterfly received the products mentioned above free of charge for editorial consideration, no additional incentives have been received. All opinions expressed are 100% my own. I am disclosing this information in accordance with the Federal Trade Commisions 16 CFR, Part 255 Guides Concerning the Use of Endorsements and Testimonials in Advertising. Our full Giveaway Rules and Disclosure Policy can be found HERE.